Over the past few weeks, I have been using the Sony Xperia Z5 as my daily driver. Has Sony’s latest flagship overcome the problems that many users faced with the previous Z3+? Read on to find out! When it comes to the design of the Xperia Z5, sleek and minimal are the first adjectives that come to mind. The fully metal sides sandwiched together by two pieces of glass makes the Z5 a beauty to look at and hold. Instead of keeping the glass on the back glossy, Sony went with frosted glass which not only helps reduce fingerprints but also adds to the overall luxurious look and feel of the phone. 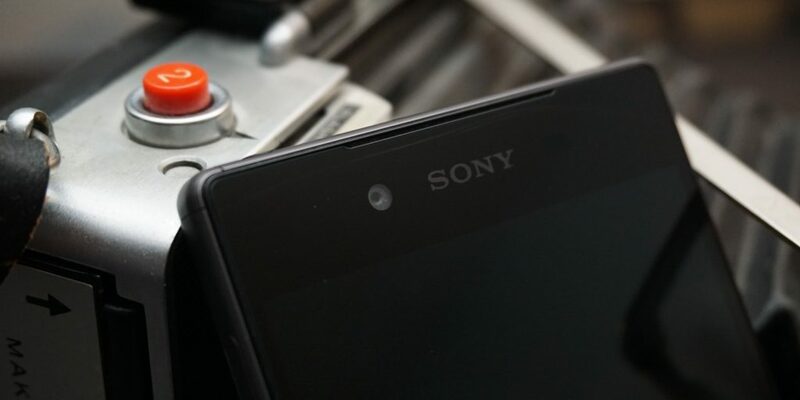 The glossy Sony logo on the back paired with the subtle Xperia logo below it should be the way that all phones are branded. The logos on the Xperia Z5 do not stand out from the phone with garish colors or sizes but rather complement the design of the phone. This may be the first time I have ever applauded a company’s use of logos, but Sony’s ability to blend its logos into the Z5 should not go unrecognized. In fact, one of my favorite parts of the design is the Xperia logo that is embossed into the bottom right side of the phone. On the bottom of the Z5, there is a microUSB port plus a spot to attach a wrist strap if you are worried about dropping this phone. The right side of phone includes the power button, volume rockers, and dedicated camera button. I must say, this camera button is one of the greatest joys of using this phone. Not only does it include a half press for focusing before taking the picture, but it also allows a quick launch of the camera from any screen (even when the phone is off) with a long press. One of the main reasons I was excited to review the Z5 was that the power button doubled as a finger print scanner, and I thought that having this placed on the side was the best idea I had ever heard. However upon getting my Z5, I realized that there did not appear to be a fingerprint scanner on the power button. I then remembered an article I read that mentioned the US versions of the Z5 and the Z5 compact would be foregoing the fingerprint sensor. Why, Sony? Why would you get rid of the fingerprint sensor for the US versions? The location of the volume rocker seemed strange to me at first since it is located on the bottom half of the phone; however, I quickly came to love the placement because it resulted in me almost never accidentally hitting the volume buttons which happens quite a bit on my other phones. On the top of the phone, there is a lone headphone jack for listening to some tunes. The left side of the Z5 contains the waterproof flap that covers the SIM card and MicroSD card tray. 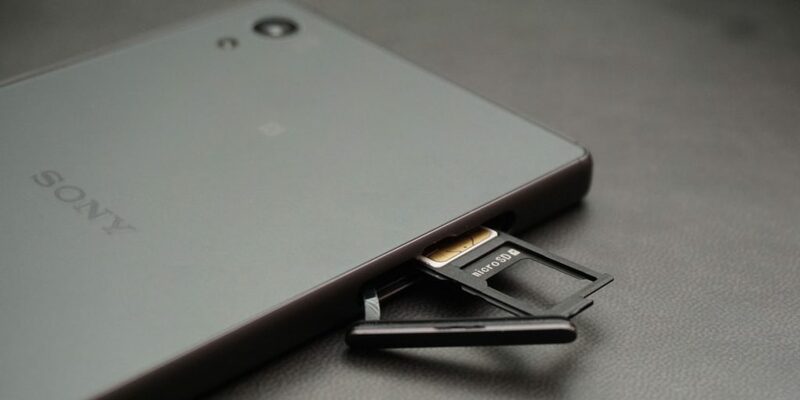 Yes, the Xperia Z5 has expandable storage so you don’t need to worry about running out of space any time soon. The front of the phone shows off the 5.2” 1080p screen which is accompanied by dual front-facing speakers and a 5MP camera for all your selfie needs. The back of the Z5 is almost completely bare aside from the 23MP camera and LED flash in the top left corner. Earlier, I mentioned the waterproof flap for the SIM card tray which means that, yes, the Xperia Z5 is waterproof and comes with an IP68 rating. But hold on just one second! Before you get all excited thinking about all the cool underwater pictures you can get with that 23MP camera, you should know that Sony says to not use the Xperia Z5 underwater even though it claims the phone is waterproof. So if you do decide to chance it anyway and you phones ends up breaking from water damage, there is a good chance that Sony will not replace that phone under warranty. Basically, you are good for using the Z5 in the rain, accidentally dropping it into the sink or toilet, or even using it in the shower, but you should probably avoid using it underwater even though Sony is still touting that it is a waterproof phone. I used the Z5 in the rain and also had it slide into a sink full of water, and it is still running totally strong. Sony’s waterproofing of the Z5 has done a good job and adds to the overall durability of it, but unfortunately it looks like underwater usage isn’t happening. 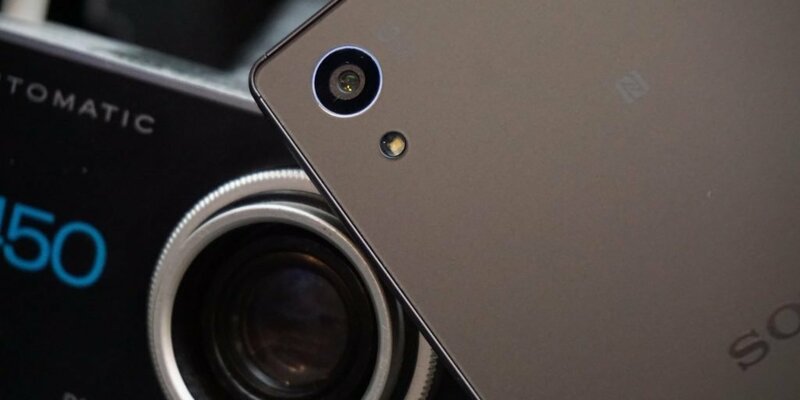 Thankfully, Sony has included dual front-facing speakers on the Xperia Z5, which needs to become the standard for all phones. Of course, the placement of the speakers doesn’t matter if the sound quality is lacking. Thankfully, the speakers on the Z5 are solid in the realm of phone speakers. The mids and highs are both represented well with good separation and clarity. I do not know if you could ask for much more from phone speakers in the high end. Unfortunately, the low end leaves much to be desired. Coming from someone who does not like overly heavy bass, you will never have to worry about the bass punching too hard. In fact, I would say that it does not hit nearly hard enough. In some songs, I feel like the low end has been almost taken out completely. So what do you need to take away from this? If you are planning to use your speakers for watching to YouTube videos (excluding music videos) and Netflix, listening to podcasts or spoken word, and rarely using your phone as a speaker for music, you will be completely pleased with the sound quality from the Z5 speakers, and I believe that most people will fall into this category. If you are looking to use your phone’s speakers to play music, I would recommend just buying a Bluetooth speaker because you are not going to find a phone that can match the sound quality of even a relatively inexpensive Bluetooth speaker. The display is one of the best choices Sony made with the Z5. First off, the size is only 5.2” which is an almost perfect size for many people as it is neither too small nor too large. Everyone who has used my Z5 has been able to do everything they wanted to do and I never got a comment about the phone being small or big. Second, Sony kept the resolution at 1080p instead of following the crowd and bumping it up to an unnecessary 2K resolution. At 5.2”, a full HD display provides a high enough pixel density to create a beautiful image without visible pixels and also benefits from less battery usage compared to a higher resolution display. Sony went with an IPS LCD panel for the Z5’s display which means that, while you will not get the pure blacks of an AMOLED panel, colors are well represented and whites are vibrant. I felt like the display had a slightly cool color temperature with the whites having a slight blue tint to them, but overall, the display is beautiful and should please almost anyone viewing it. With a 2900mAh battery and a 1080p screen, Sony is touting up to two days of battery life on the Z5. In theory, the lower resolution screen (compared to phones with 2K screens), power efficient processor, and Android Marshmallow’s improved battery performance, this claim should not be too outlandish. Unfortunately in practice, I never got anywhere close to two days with the Z5. My normal days includes listening to about an hour of music or podcasts, watching a couple of YouTube videos, texting, checking Slack, and responding to emails. Even on the best days, I never got more than 4 hours of screen-on time out of the Z5. I normally wake up around 6:30AM on my longest days and don’t get back to sleep until close to midnight, but I found that the Z5 couldn’t last a full day with my usage. Maybe if you are a light user, you could stretch two days out of this battery, but if you are a power user, you will be searching for an outlet before the day is done. One thing that I must commend the Z5 on is its standby power consumption. I left the Z5 on my desk and came back almost 10 hours later to find that it had not even dropped one percent. While the SIM card was out at this time, it was still connected to WiFi and continuously pulled down notifications like email. I’m sure that some of this amazing standby time is thanks to Android’s Doze feature, but there is definitely some extra witchcraft going on here. Regardless of what is causing it, Sony nailed the standby time with the Z5. When Sony’s previous flagship, the Z3+ (or Z4, Z3v, etc. ), came out earlier in 2015, it was plagued with performance bugs that were ultimately chalked up to overheating from the Snapdragon 810, which gained notoriety for its heat issues. On the Z3+, performance issues lead to stuttering, app crashes, and a negative experience all around. Although the Z5 also comes with the Snapdragon 810, there is no reason to worry about overheating issues here. The new version of the 810 used in this phone runs much cooler than its predecessor and performance is not affected. Performance on the Xperia Z5 has been nothing but snappy and smooth. Multitasking is quick thanks to the 3GB of RAM, and I never experienced any memory management problems. With the Xperia Z3+, 4k video could only be recorded for a short period before the phone would overheat and need to cool down. There is no such problem with the Z5 as 4k recording is much easier and smoother. I attribute some of the Xperia Z5’s quick performance to the fact that it is running Android 6.0 Marshmallow with a light skin on top. Marshmallow is the fastest iteration of Android yet, and pairing it with a light skin means that performance is almost Nexus-like. When I first opened the Z5 packaging, the phone was running some iteration of Android Lollipop. Thankfully, I did not have the phone on for more than five minutes before I got the notification that the Z5 was ready to update to Marshmallow. Without hesitation, I updated to it. Sony has done a great job at adding some extra features to Android Marshmallow without losing much of the feel of stock Android. 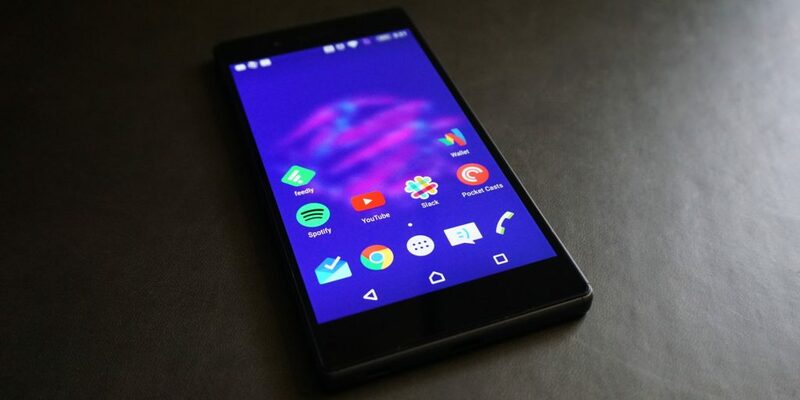 Aside from some of the icons and the Settings menu, I believe anyone would be hard pressed to find much difference between the software running on the Xperia Z5 and stock Android itself. Unfortunately, there are some apps that are created by Sony that I wish were just the Google versions of these apps instead. Things like Contacts, Calendar, Calculator, and Email are all apps made by Sony instead of the Google versions. While none of these apps are actually much different than their Google alternatives, I wonder why Sony saw the needs to implement its own applications in place of almost identical ones from Google. Outside of those apps, there is the normal suite of PlayStation apps that allow you to interact with your PlayStation and even mirror games to your phone. The last major feature addition is the Themes section which changes the entire look of the phone with the click of a button. While I prefer to customize my phone myself, I know that others will find this feature much more useful. Sony is known for making good cameras both inside and outside of the smartphone world. I was excited to finally get to try a Sony sensor in an actual Sony smartphone. On paper, the specs for the camera on the Z5 are fairly impressive. It comes with an f/2.0 23MP sensor that should be capable of taking some incredible photos. In practice, I was impressed with some of the shots taken outside, but once I moved into lower light situations, the camera started to fail me. Do not get me wrong, this is by no means a bad camera, but with hardware like this, I did expect much more. First, let’s discuss the good things about this camera. At 23MP, there is a ton of detail crammed into every shot taken with the Z5. This detail lends to sharp pictures that can easily be cropped if needed without losing much detail. In outside shots, the camera on the Z5 is capable of capturing some beautiful pictures. As long as there is good lighting, the Z5 almost consistently take good photos which can be seen in the photos of the dog and Dallas. Now, on to the not so great things about this camera. In many of the pictures I took, bright colors appeared blown out and detail in them was lost. This is visible in the photos of the red flower and the clay chicken and egg. In the red flower photo, the color of the flower is much more vibrant than it actually was, which causes the detail in the petals to become muted. As for the clay chicken, the orange clay was not nearly as neon as it appears in that picture. This picture brings up another problem I experienced with this camera. In the clay chicken photo, the shadows are extremely dark and have almost no detail. In order to get detail from the shadows, I had to manually raise the brightness, which resulted in the background being blown out. The camera on the Z5 does not handle low light or shadows well. One final complaint I have with the Z5’s camera is the shutter lag. 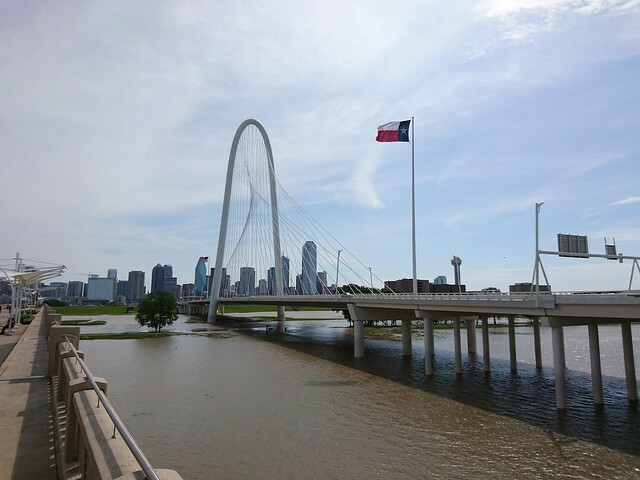 Regardless of if I used the hardware shutter button on the on-screen shutter button, I found that the Z5 would not take the picture until about a second after I pressed it. This may not be a problem if you are only taking pictures of still objects, but do not expect to be able to take photos in a split second of sporting events or animals. Hopefully, this problem can be fixed with a simple software update. Overall, I believe that the Xperia Z5 is capable of taking amazing pictures as long as the conditions are correct. However, in low light situations or when bright colors are present, the camera begins to suffer and lose detail in both places. After spending a while with the Sony Xperia Z5, I am actually going to be sad to see it go when I switch back to my Nexus 6. The build quality of the Z5 is one of the best I’ve ever seen, the screen is great, the performance is smooth, and the camera button is fantastic. However, the camera leaves some to be desired, the battery life is lacking, and the removal of the fingerprint sensor is just annoying. If you are looking for a well-designed phone that can take a beating, flies through performance, takes mostly good photos, and looks stunning doing it, there are not many other phones out there that fit this description better than the Xperia Z5. Couple all of that with a near stock experience and relatively quick updates from Sony and you have got yourself a phone that should have no trouble lasting for the next two years. Get your hands on the Sony Xperia Z5 over at its page on B&H! Huge thanks to B&H for making this review possible! Overall, the Sony Xperia Z5 is a wonderful phone. However, the lackluster battery life, poor low light camera, and lack of a fingerprint scanner keep it from being the best.